Designed by Beijing Rising International Software Co.,Ltd. This application is also well recognized worldwide. It is being used by many enterprises. 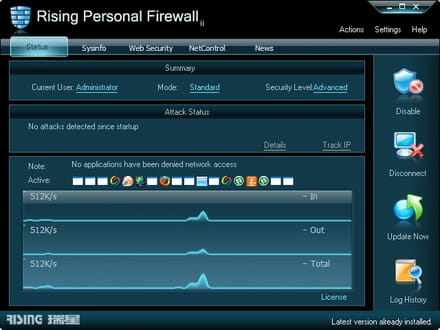 Simple and easy to use, Rising Firewall is an application that will allow you to browse online safely. The application is enabling to protect your personal information from being stolen. The application provides you with two-way of protection with different accounts either administrator or user. 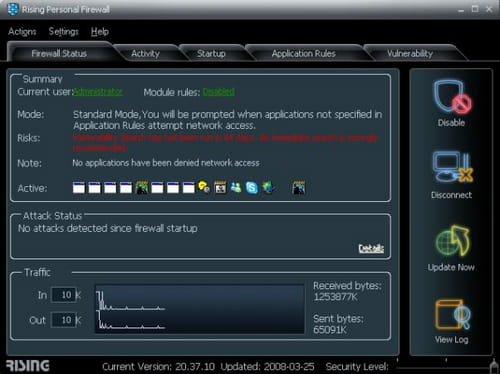 It allows beginner to configure their rules for newer applications. The application includes an URL Filter that will prevent you against phishing and malwares. Rising Firewall is an application that is able to protect your computer from various attacks. Latest update on November 16, 2016 at 07:12 PM.